The Nifty PSU Bank index gained 2% on Tuesday amid heavy buying in Bank of India, Union Bank, Punjab National Bank (PNB), Central Bank, and Oriental Bank of Commerce. Shares of Bank of India and Union Bank, which gained 5% each, were leading the index’s gain. Shares of PNB gained 4%, while those of Central Bank of India and Oriental Bank of Commerce rose 3% each. 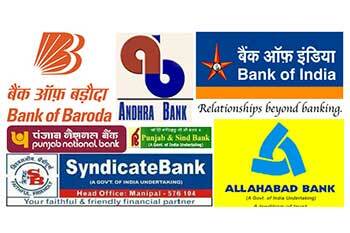 Shares of Canara Bank, Indian Bank, and SBI also contributed to the index’s rally, rising 2% each. Shares of Central Bank gained after the board of the company approved proposal to raise up to Rs270cr by issuing shares to its staff under the employee share purchase scheme (ESPS). The approval was granted to raise equity capital by issuance and allotment of up to 10cr shares at the issue price of Rs27/share, the bank said in a regulatory filing. Further, shares of Canara Bank gained on plans to raise long term foreign currency funds by issuing Senior Unsecured Bonds (Medium Term Notes) in the international markets to the extent of $500mn under its Medium Term Notes (MTN) Programme, depending on the market conditions.